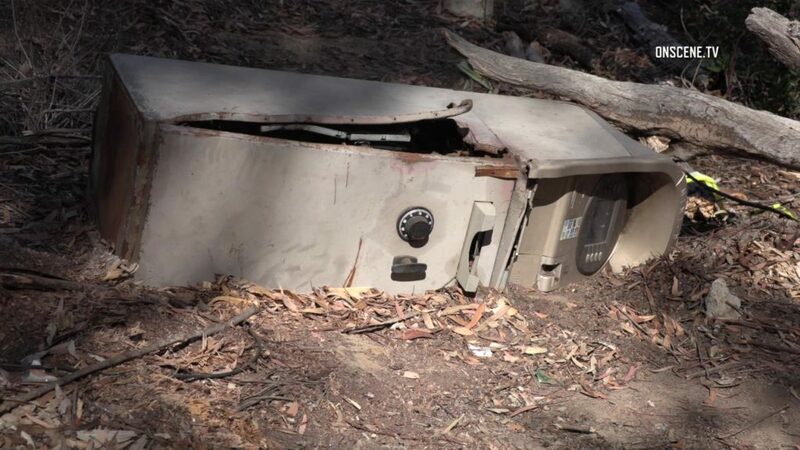 An old, stolen ATM was found in the canyon below Emerald Hills Park on Tuesday by a community group looking to help homeless people living there. The group found the ATM, which had been broken into, around 10:30 a.m. and contacted the San Diego Police Department. A tow truck was called into the recover the machine and police took possession of it to determine where it came from. The machine looked like it had been in the canyon for quite some time destroying any evidence that may have been on the machine. Forensic detectives, however, may still be able to trace the machine back to where it was stolen, which may help with any cases police were pursuing in the past. It was unclear how long the machine had been in the canyon.